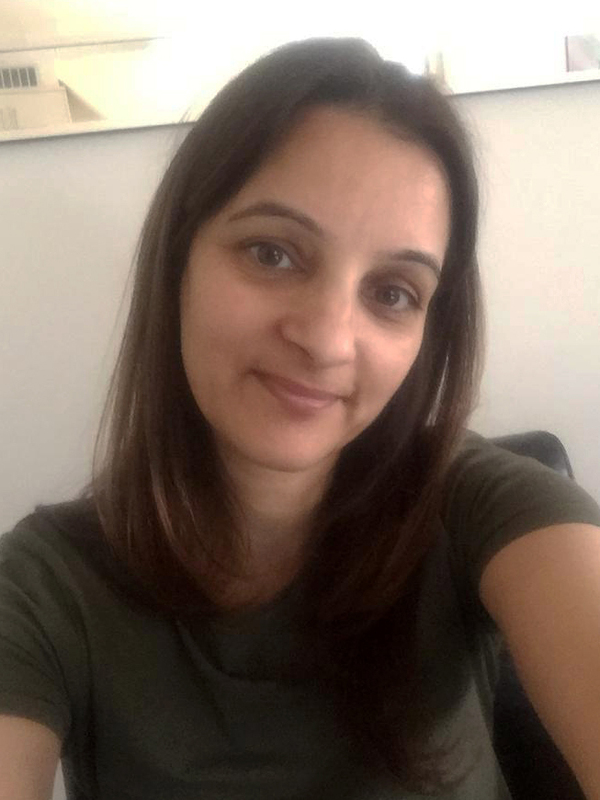 Lastly, we speak to Pardip Kaur, Business Data Manager, to learn a bit about her journey to TFT and why she encourages more women to continue pushing boundaries and add something unique to the property industry! I started working in the property industry 20 years ago at RICS within their events department. I was at the RICS for 6.5 years. 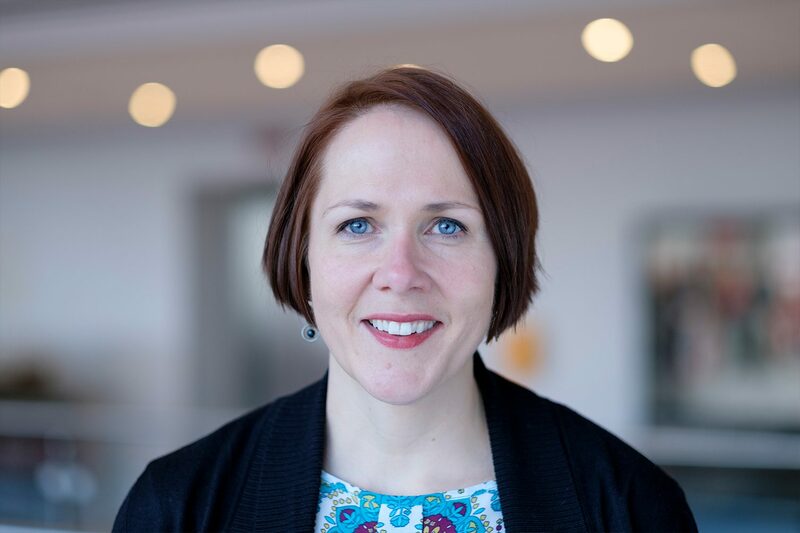 When I joined RICS, the events were heavily attended by male surveyors, but by the time I left, I was working with females who were on the professional working groups for building surveying and building control. 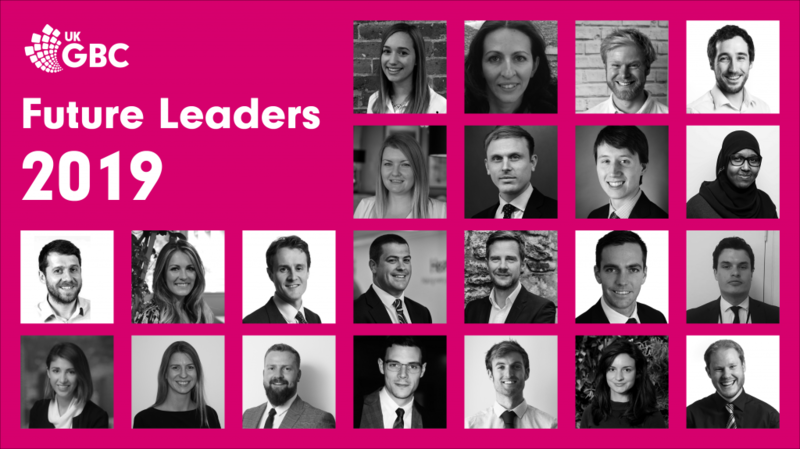 My profession means I can work within a variety of industries, but it’s because of the wonderful people I have met through the years that I have remained in property circle (some of these are now my close friends!). Have you come across any particular challenges within it? I’ve not really found any challenges within the industry. This might be due to the type of roles I have had and my strong personality. My experience within the industry has always been a positive one. I wouldn’t be where I am today if it had not have been for the people I met throughout my career. The industry is very open and approachable. 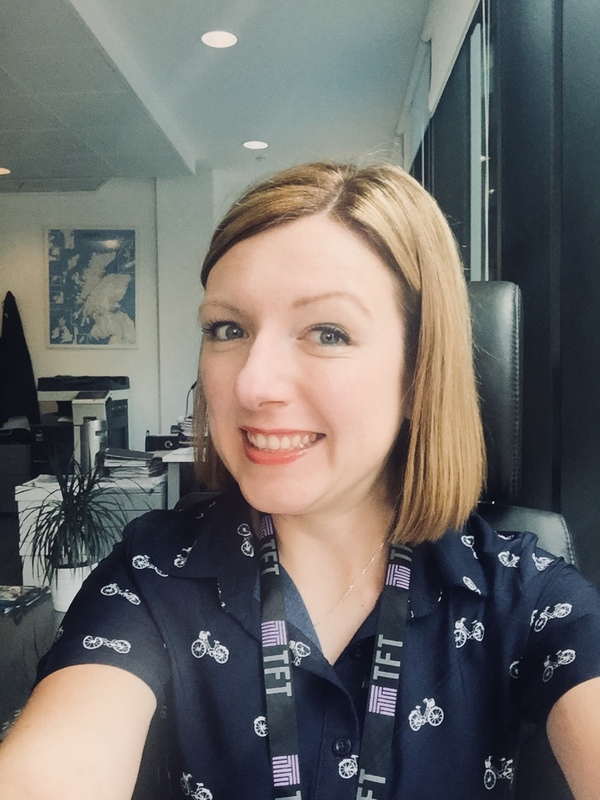 Here we speak to Jennifer Hobart, Senior Building Surveyor, to learn a bit about her journey to TFT and why she encourages more women to fight stereotypes and continue pushing boundaries. I went down the standard route of applying to university as an encouraged next step after 6th form but very quickly realised I did not enjoy studying Classics as much I thought I might. As a result, I dropped out and went home. However, I’d always found the architectural part of Classics interesting and somehow found a very tenuous link to surveying. Surveying as a career seemed to fit with how I saw my work- life going. I didn’t always want to be in the office so getting out and about to see buildings sounded interesting. Though I was quite disappointed when I found out that using the tripods you see on the sides of roads would not be part of the job! Not really. Though I do recall being told early on that this might not be the career for me… Luckily, I’m stubborn and it spurred me on! Do you have any advice to give people who don’t know too much about it/who are considering going into the industry? Do your research and ask current professionals about the job – there are so many directions you can go in. When I first started at university, I only really envisaged surveying houses for homebuyers, it didn’t even occur to me that there were commercial routes, valuation, general practice etc. Make sure the university you apply to is RICS accredited. Lastly, always have your phone on your person on site, you never know when you might accidentally lock yourself in a cupboard! 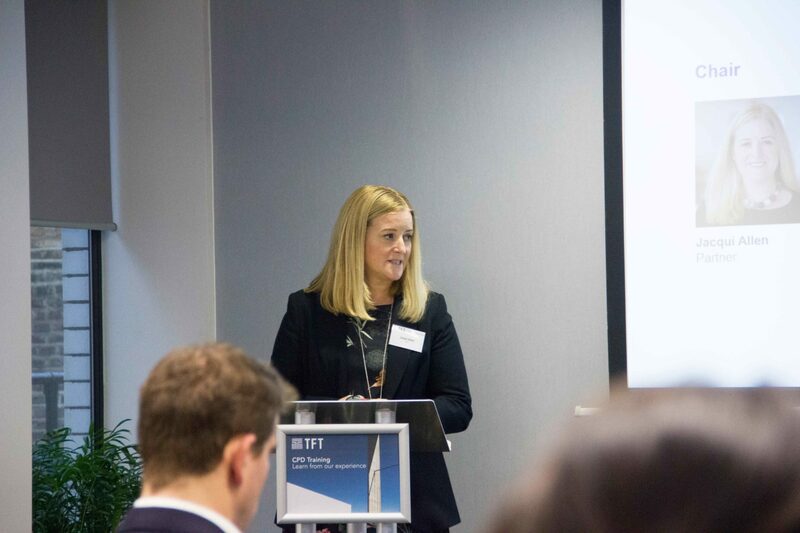 Here we speak to Jacqui Allen, Building Surveyor and Partner at TFT, to learn a bit about her journey to property and why she encourages more women to continue pushing boundaries. I originally did a degree in architecture as I was interested in art, design and buildings. I then re-trained as a building surveyor when I was involved with conservation work at English Heritage. In my opinion, there are no particular challenges as a female, but I think you need to have a robust personality and be strong to be in the construction industry as a woman. If you know your stuff and do a good job it doesn’t matter what gender you are! Do you have any advice to give people who don’t know too much about it/ who are considering going into the industry? Do it! It’s a really varied role and no two days are the same. It is constantly challenging mentally and the opportunity to work on a huge variety of buildings definitely keeps it interesting. 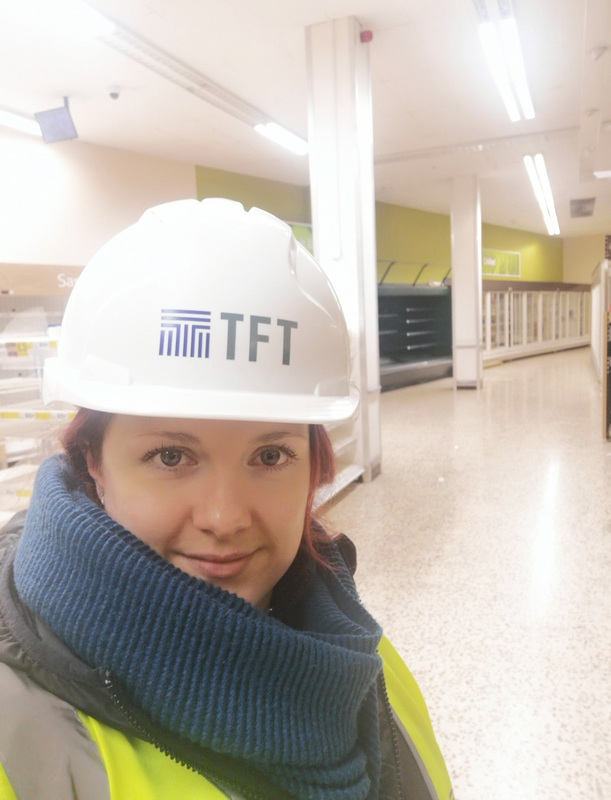 Here we speak to Emily Young, Graduate Building Surveyor, to learn a bit about her journey to TFT and why she encourages more women to continue pushing boundaries. I have always been fascinated by historic buildings, architecture and the magnitude of some construction projects. I went to college for Architectural Conservation but was unable to do a degree in this so went down the Building Surveying Pathway which encapsulates all I love about the built environment and construction industry! Being a female in a traditional male environment can be challenging when getting your point across without being silenced or ‘mansplained’, but if you hold your own and are confident in what you do there should be no challenges! We all have the same degrees and do the same work so why should there be a difference between male/female building surveyors. It is a great industry to work in. The variety of workload is challenging but very enjoyable. One minute you could be working on a multimillion-pound project and the next you could be doing a site inspection of a huge empty warehouse in the middle of nowhere. It’s a great job and I am very lucky to be doing what I love every day! Part of the TFT Family on Day One! With all this going through my mind, I was impressed and immediately at ease due to the warm reception I received from my new colleagues. It seemed every single person said hi to me … I even got calls from staff in other offices to welcome me and offer support if and when I needed it. When I spoke to my team they told me this happened to them too! What a difference this genuine response made to me – it definitely isn’t something you come across every day! Now, when we new staff arrive, I think of this and it reminds me to go that little bit further to make them immediately feel like part of the TFT family! TFT Together Day 2018 from TFT on Vimeo. 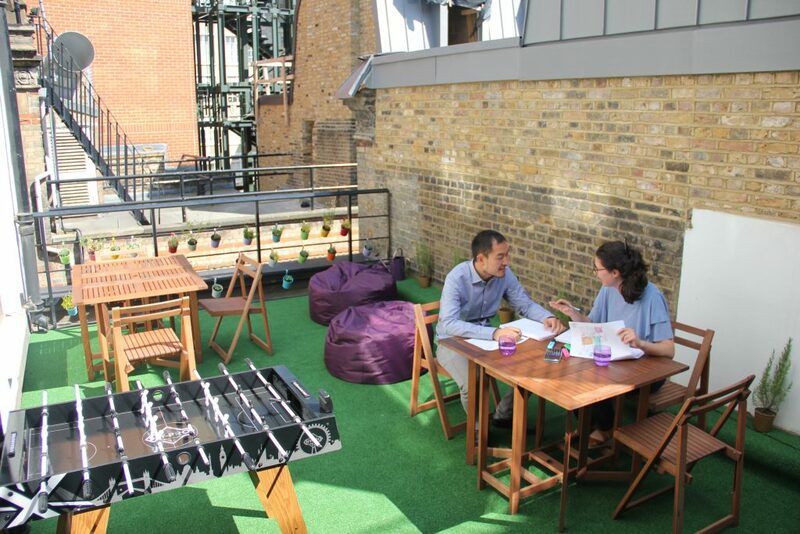 Rooftop Haven: the day we took on the terrace! Last Tuesday 4th July, Deni (TFT Senior Graphic Designer) and I rushed out of the office at 5.30pm and bid farewell to those on the TFT night shift (just kidding, everyone at TFT has a hectic social life). Little did those socialites know we were actually taking on a ‘TFT nightshift’. We returned a couple of hours later thinking most would have gone home to find a couple of sedulous lassies still tapping away. But things needed to get under way; British Summer only promised sunlight until 9pm, *sigh*. We planned to renovate our outdoor area. We are so lucky here to have a terrace to enjoy the Summer weather on (all be it short-lived) and hence decided to make the most of our space. 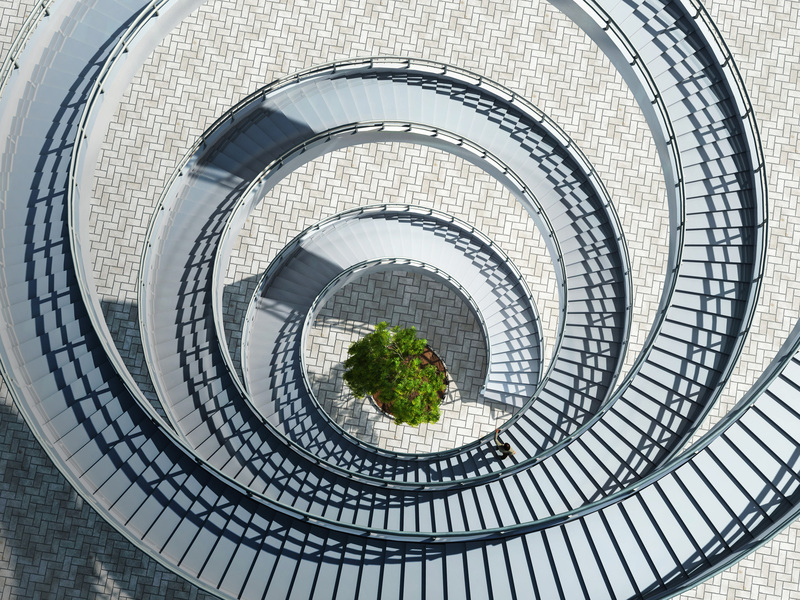 Our Partners are all brilliant and are always open to new ideas and ways to improve the space and environment around us, within reason (we did think about a waterslide and a putt putt course…). We agreed with them that we would get plants that were sustainable all year round, reduce outdoor air pollution and can be ‘used’ by employees. Five and a half hours were spent putting together, testing, fixing then putting back together, rolling out, cutting, planting, measuring, capturing our progress on camera, and faffing about putting together a futsal table.